There are many automotive companies all over the world, but not all of them are particularly good when it comes to providing suitable after sales services. Honda is definitely one of the better brands when it comes to after sales installation help and customer support. When dealing with issues that occasionally occur with the Honda Accord GPS, they offer a superb customer service which includes installing the device as well as taking care of any software updates required – which can sometimes mean new maps to ensure that the system is up to date and reliable. There are a few different options on the Honda Accord. The driver can opt to have the factory-installed GPS fitted, or have the device installed in an after sales environment. All Honda Navigation Systems for the Accord models are powered via software that is loaded off a DVD. The Honda Accord Navigation DVD contains maps, routes, directions, voice commands, and millions of POI (points of interest files), and the device reads the data from the DVD as you use the GPS whilst on the move. One of the down sides to have a factory-installed GPS in the Honda Accord car is the fact that you cannot physically remove it in order to update the software via USB and your PC. 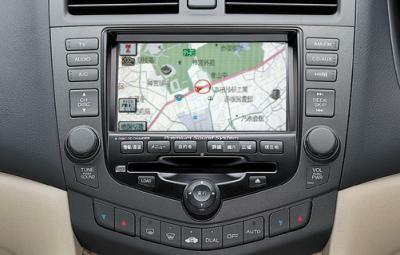 Instead the driver needs to order a new Honda Accord Navigation DVD every year from the Navteq company. This contains the new software essential to keep the GPS running as it should do. To put this into perspective, the United States adds 20,000 new miles of roads to the national network each year on average – meaning the Honda Accord Navigation System will need updating annually so that the driver can still use it efficiently. Turn on the Honda Accord’s ignition and initiate the Navigation System. Eject your existing Honda Accord Navigation DVD and insert the new one. Press “yes” to continue when it asks you whether you want to install new GPS maps. The whole process should take no longer than 20 minutes. Author Bio: Bill Simpkins is an automotive blogger and mechanic. For the effective installation of accessories and technical system in your car, he says that it is preferable to seek out the assistance of experts to get the best results. While installing navigation systems in Honda, you can do this yourself, or head over to this HondaAccord Navigation System Update for further information.